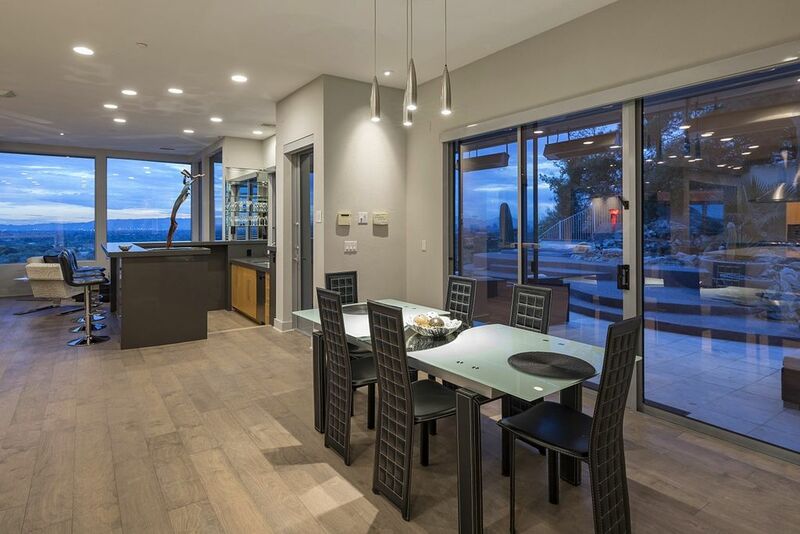 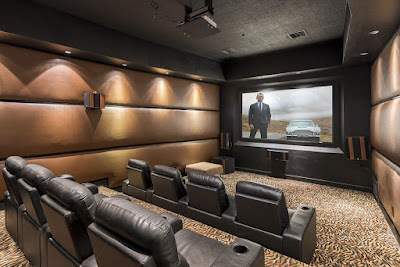 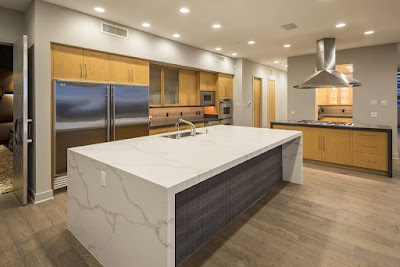 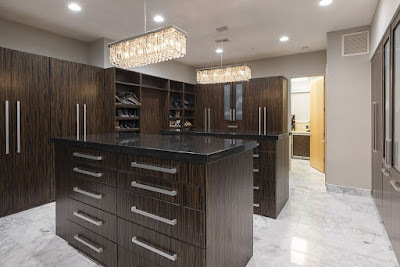 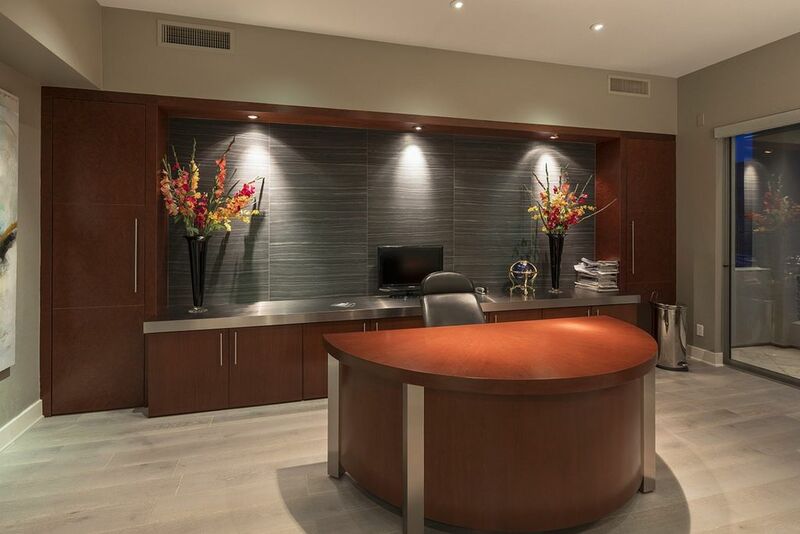 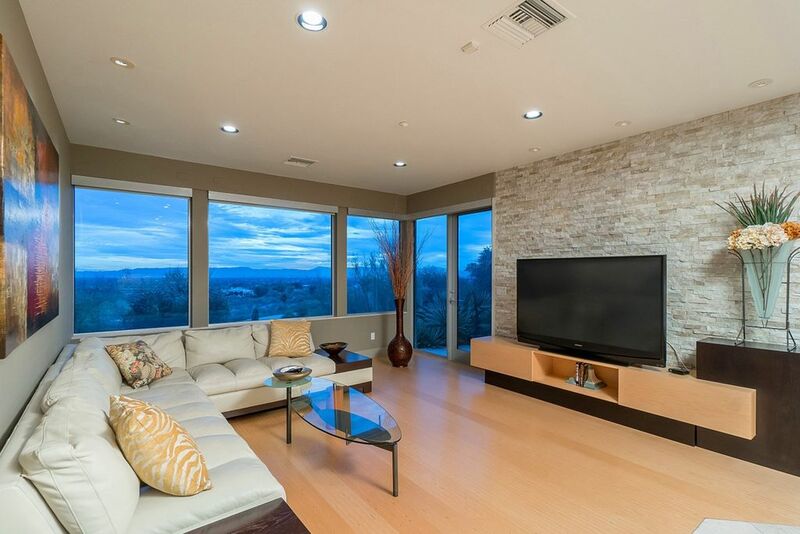 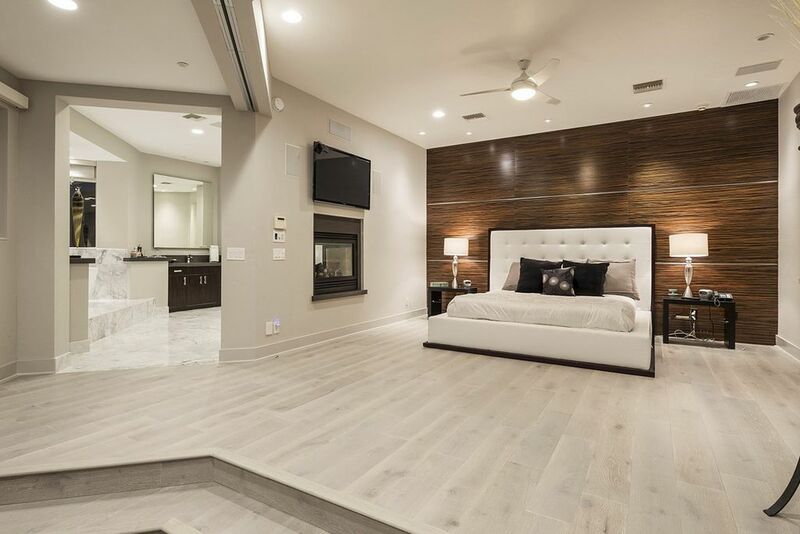 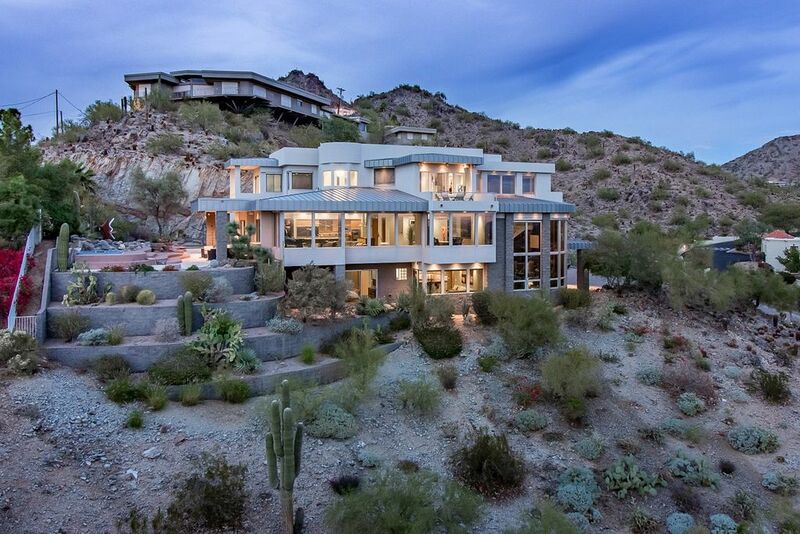 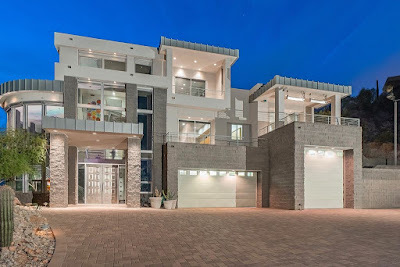 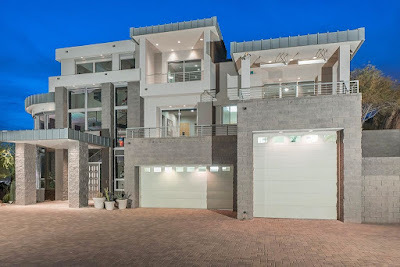 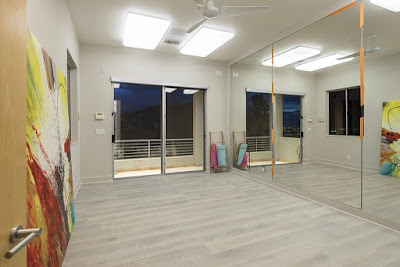 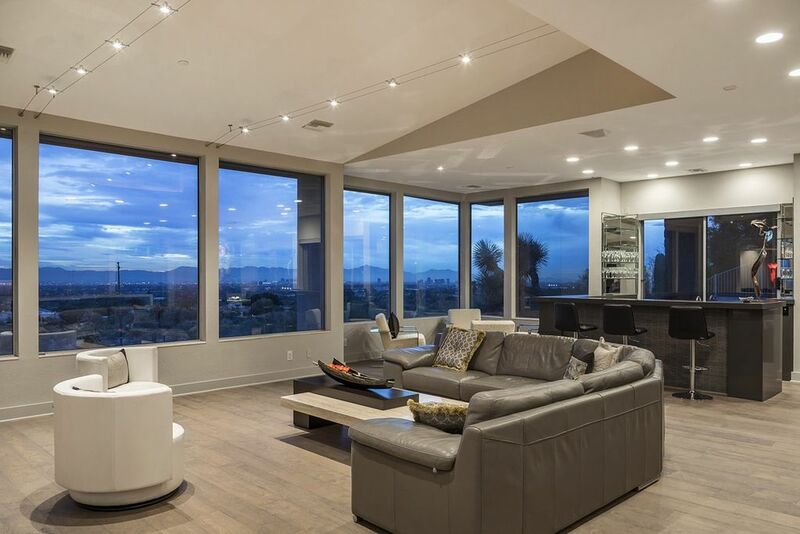 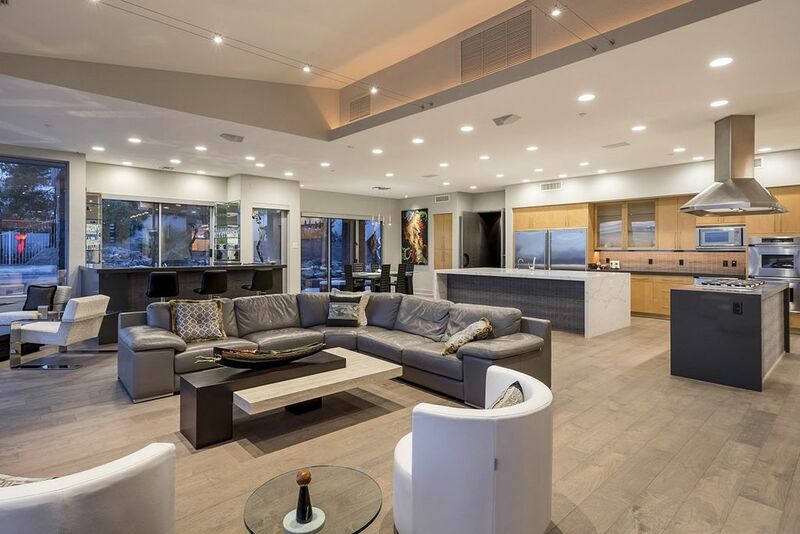 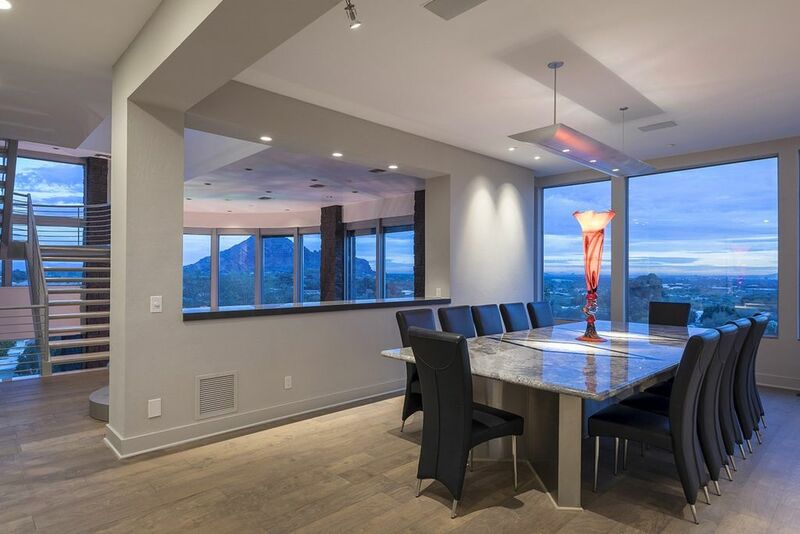 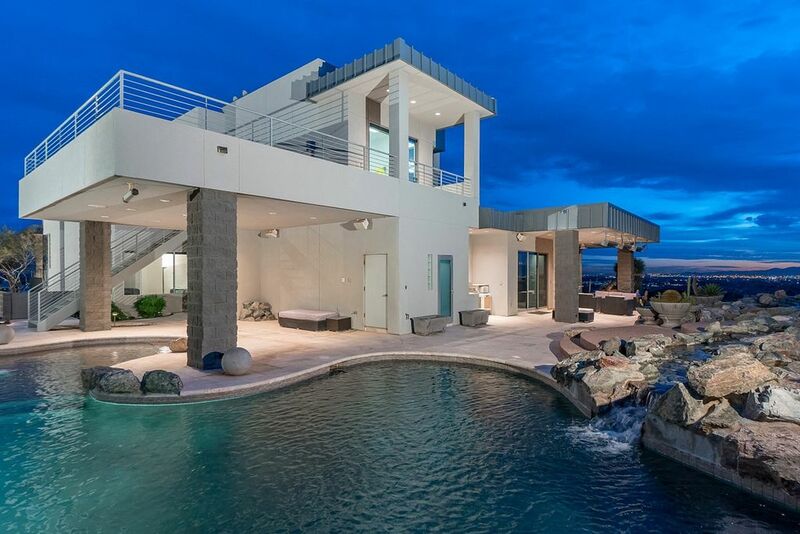 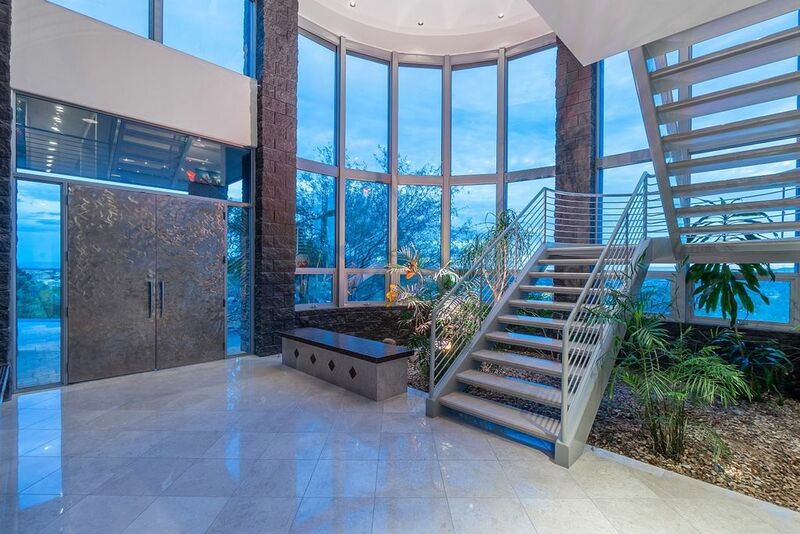 This polished contemporary-style mansion in Phoenix, AZ was built in 2002 and is situated on 1.36 acres of land with remarkable mountain views. 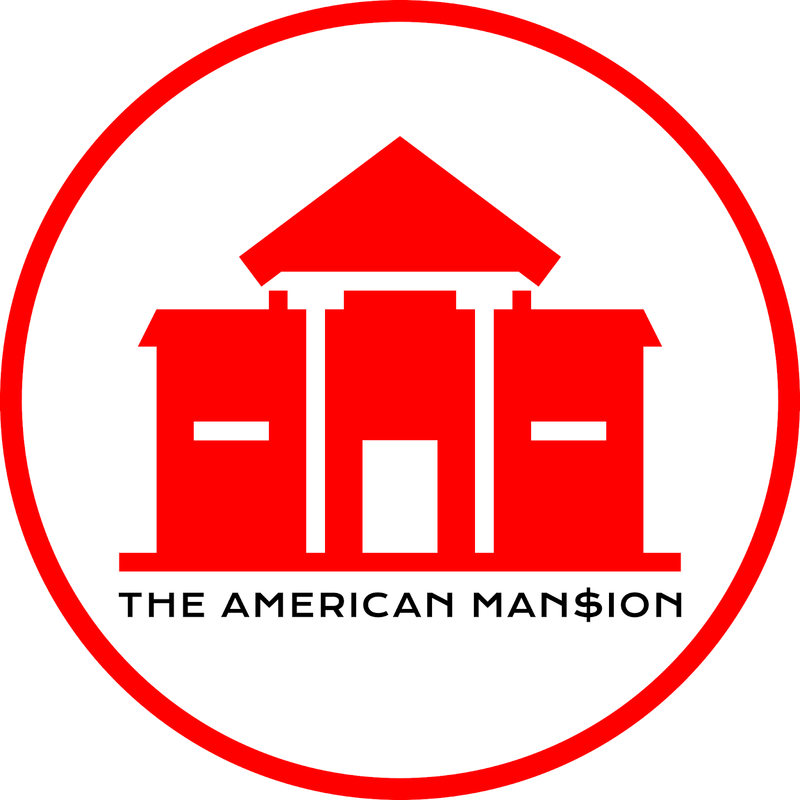 It features approximately 8,201 square feet of living space with four bedrooms and six bathrooms, an atrium-like two-story foyer with floating staircase, water feature, elevator, great room, formal dining room with custom built-in table, gourmet kitchen with waterfall island and cooking island, butler's pantry, breakfast room, wet bar, home office, media room, eight-seat home theater with padded acoustic walls, an exercise room, and garage parking for seven cars and an RV. 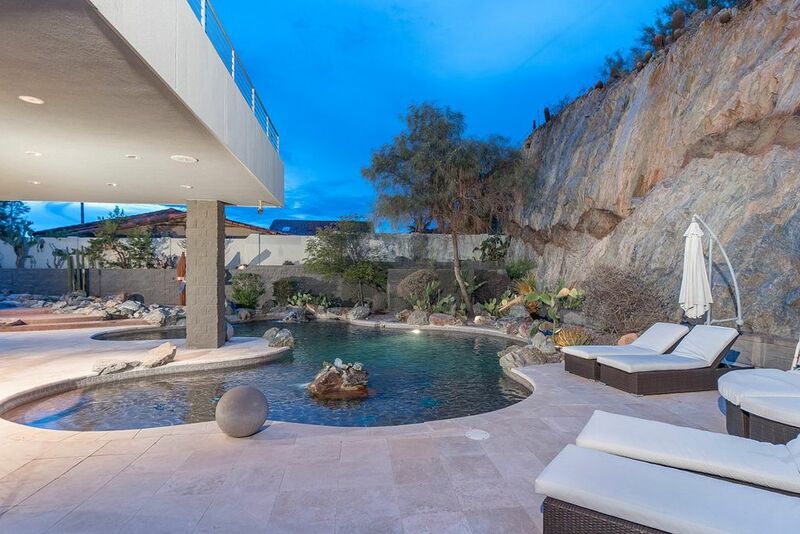 Outdoor features include a gated entrance, motor court, multiple balconies and decks, rock-lined water feature, patio, free form swimming pool, and a hot tub.